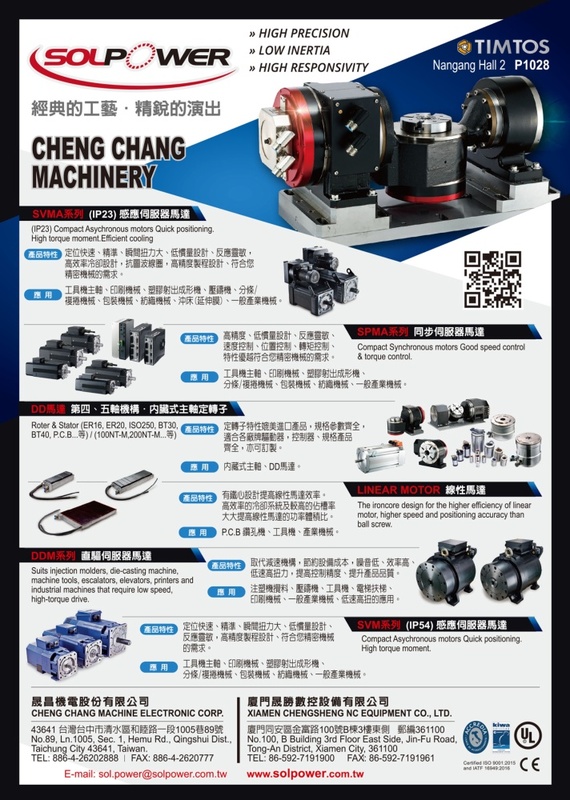 CHENG CHANG MACHINE ELECTRONIC CORP. was founded in 1995. 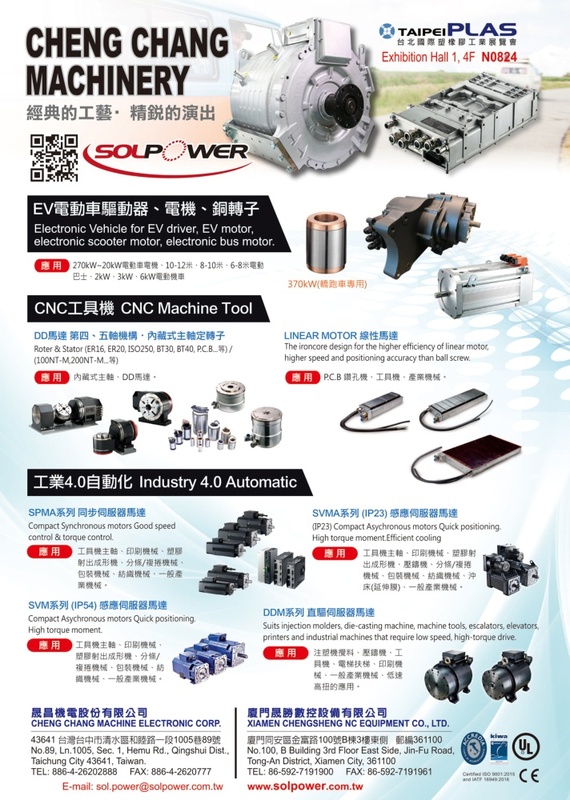 In consideration of world ranking of Taiwan tool machine export, the Forth and Fifth place, it was a pity that Taiwan tool machinery companies have no their own spindle motor controllers and the key components need to be imported. 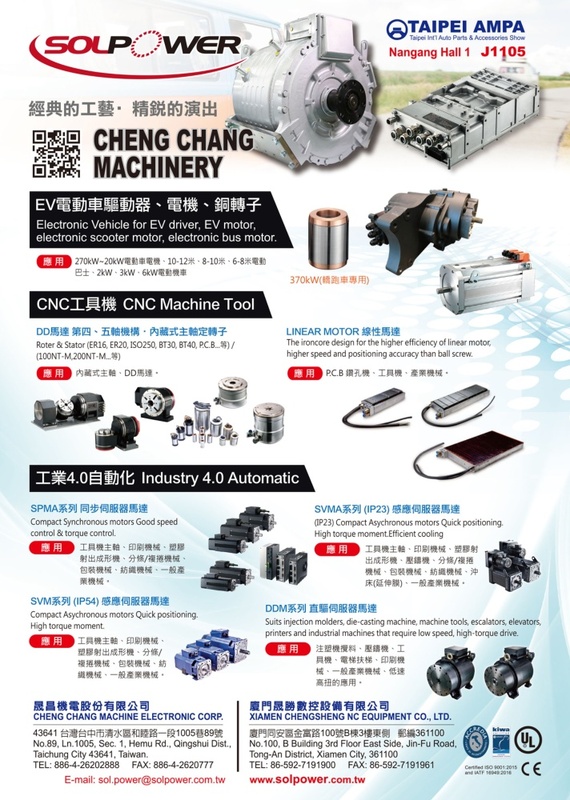 CHENG CHANG initially intergrated high quality controllers and drivers and developed spindle motor specifically for tool machine. Owing to the outstanding product characteristics and quality, which is compared favorably with spindle motors made in Europe, America, and Japan, our motors gain very good feedback from customers. Nowadays, our motors sell to a variety of customers in America, Europe, and Mainland China and are readily receiving recognition in the market. From product design, manufacturing to customer service, our company holds the spirit of perfession and responsibility to provide customers with completed service and is well accepted. Due to the upgrating of domestic tool machine, our company developed a series of components to meet the demands of tool machinery factories, such as C-axle motor, D.D motor and bulid-in spindle motor, etc. In the aspect of industrial machinery, we also bulided a series of induction servo motor to accommodate the demand of industrial machinery, including cutting machine, printing machine, paper cutting machine, plastic injection machine, brass and steel processing machine. With the ten-year spindle motor developing experiences, even though countless frustrations and bottleneck were encountered, we have insisted on the business management ideas, "quality, service, and innovation", for many years. We obtained so much praise and appreciation in the industrial field as a result of innovative techniques and reliable product quality. In the future, we will keep putting in more efforts in reseach and development to create a resplendent future for transmission industry and to achieve the mission of Energy Efficiency and Carbon Reduction.